Although it is still warm outside, it is already autumn, and sooner than we can imagine, we will be unwrapping the Christmas presents and enjoying the company of those we love. Catalogue 15 of 2018 is a very special catalogue, where we celebrate the art of Bella Vita with the prestigious Giordani Gold range. You can consult the Oriflame Catalogue online. 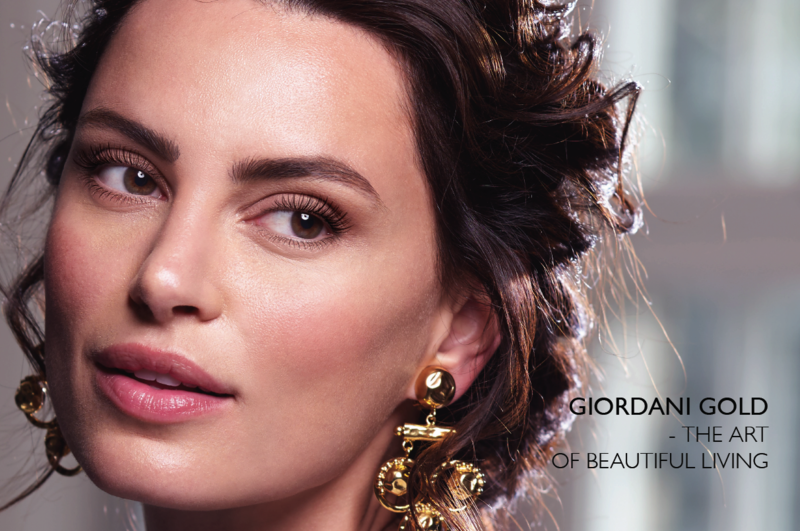 Nothing better than new products, new formulas, new colors and new concepts to further enrich the Giordani Gold portfolio. I begin by introducing you to the brand new MasterCreation Giordani Gold Colour Foundation . There are 7 shades that not only disguise the imperfections but also add lightness, softness and nourishment to the skin. Clinical tests have proven that the SPF 18 MasterCreation Colour Bases instantly reduce the appearance of fine lines and loss of light. But the Giordani Gold news does not stop here. 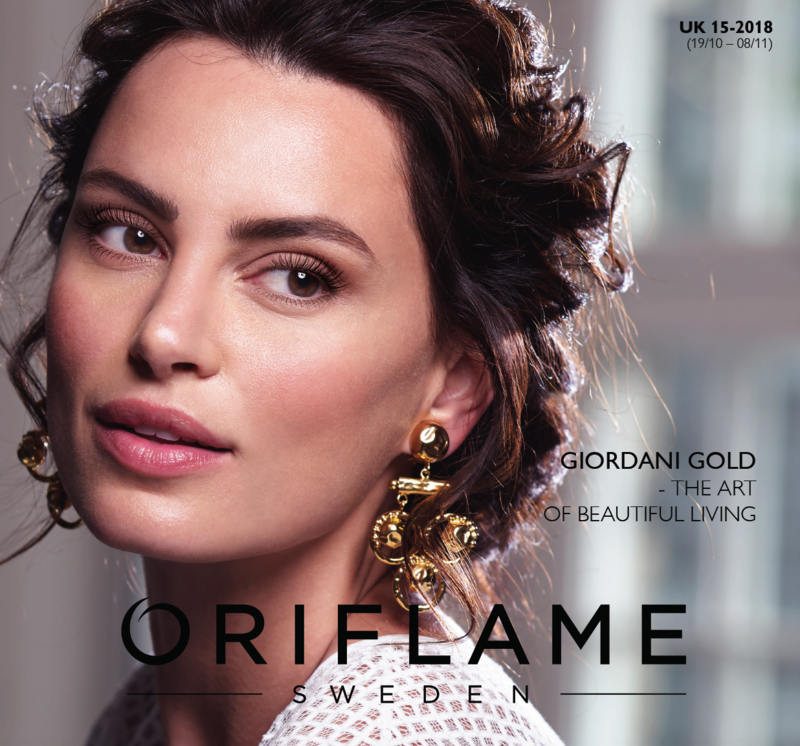 Oriflame also launches in this catalogue the MasterCreation Giordani Gold lipstick Shades . Formulated to provide intense pigmentation and a wonderful creamy texture, as well as a rejuvenating action to the lips. They are 10 different shades, enriched with active ingredients that correct the signs of aging on the lips. For only £9.95 each, it is impossible to choose only 1 … All women dream with perfect Lips. The Base for Mascara Volume Iconic Giordani Gold is the first step to the sweeping look you’ve always dreamed of. Apply this base to the eyelashes, before the All Eyelash Mask in an Iconic Giordani Gold, and let your eyelashes speak for you. Eau de Parfum Miss Giordani Intense – An exuberant and sophisticated fragrance that elevates your state of mind and allows you to celebrate your passion for life. Eau de Toilette Mister Giordani – A charming aroma that, like an irresistible smile, lasts in time. This Fragrance reveals modern freshness and masculinity. The dream deal of this Catalogue 15 of 2018 is an essential accessory for all women who like to have their jewels organised even when traveling. For every £20 of purchases you make in this catalog, you can purchase the Jewellery case for only £7.95. If you’ve started thinking about Christmas gifts, this is a great option! Many years ago, we had in our portfolio the Range Body & Mind that was a top seller! In this catalogue we present the Dream Sleep Range , also with Lavender. Known for its relaxing properties, to help soothe the mind and body, relieve stress and tension and promote deep, restful sleep. In the NovAge range we also have news! We present in this catalog the Peeling Skin Renewing NovAge . A gentle exfoliant that visibly improves skin texture, helping to soften fine lines and leave skin radiant and rejuvenated. Formulated with an effective combination of Alpha- (AHA) and Beta-hydroxamic (BHA) and with Pomegranate enzymes known for their exfoliating properties. When you purchase Sérum Even Out Optimals, receive FREE Eye Cream and Optimals Even Out Day Cream . And the fantastic Wellness promotion? In this catalogue, when you purchase the Nutrition Complex for Hair and Nails Wellness, get FREE the Shampoo Gloss & Moisture HairX and Base Coat Peel Off! The Wow promotion of this catalogue is incredible! Day Cream and Royal Velvet Night Cream cost just £9.95 each! But the surprises in this catalogue do not stop here! Do not miss out on the 10 essential products everyday, for only£19.95 ! Lastly, on the back cover of Catalogue 15 of 2018, for only £0.95 each, purchase the Hand Cream and Dream Soap for maximum hydration and softness.